To help celebrate Curve’s 5th birthday, we were asked to create a new logo which would badge all the Curve birthday events. 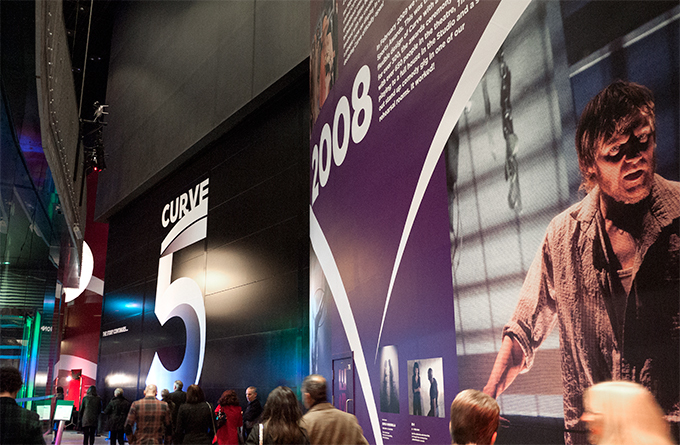 We also created an illustrated timeline which would adorn the inner walls of this unique building.The design exploits this huge space, using the height and curved walls to their full advantage, leading the viewer on a journey through the theatre’s five years of diverse and exciting productions. We have just completed work on the packaging of the BFI DVD release of Ken Russell’s legendary film The Devils – a profound commentary on religious hysteria, political persecution and the corrupt marriage of church and state. 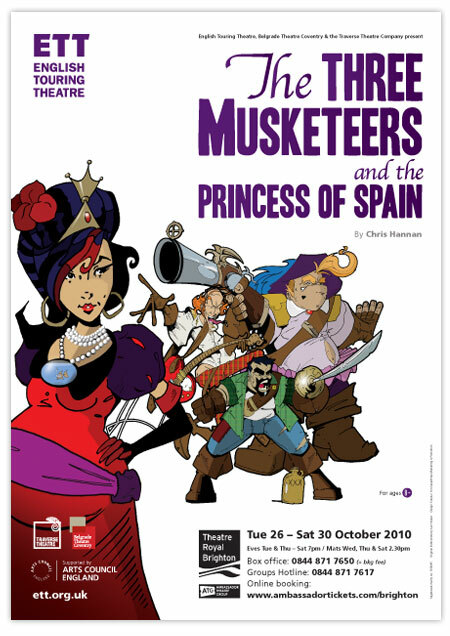 Our latest commission from English Touring Theatre is to design the publicity materials for The Three Musketeers and the Princess of Spain by Chris Hannan. Based on the classic characters created by Alexandre Dumas, this anarchic and thrilling new production promises to be laugh out-loud funny for kids and hilarious for grown-ups alike. All materials feature a specially commissioned illustration by Kev Harper, whose comic fantasy style lends itself perfectly to this swashbuckling adventure. 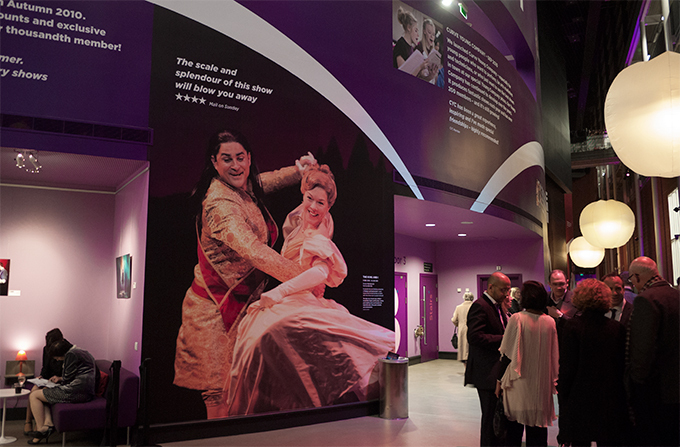 The production is touring across the country from 9th October. Eureka! has recently started working with Discover – the children’s story making centre in Stratford, East London. We have been asked to refresh and develop their brand materials, to help raise the profile of this fantastic venue, which is located in the heart of a rapidly developing area directly next to the 2012 Olympic site. Our first application of the brand development will be the new season brochure, and will be closely followed by leaflets, posters and other marketing materials – including their forthcoming exclusive Lauren Child exhibition. 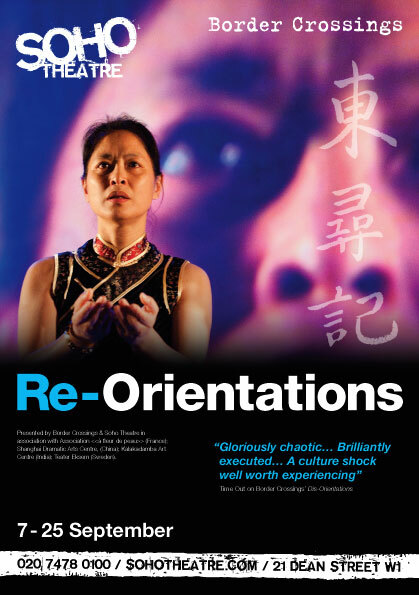 We have just completed the design of publicity materials for Re-Orientations which is showing at Soho Theatre in September. 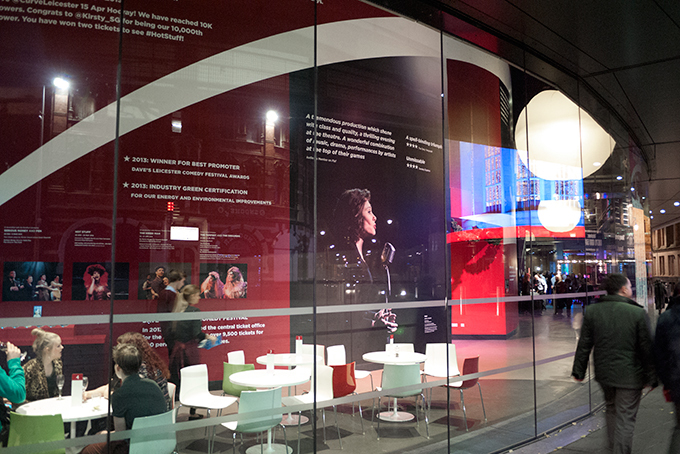 The play is part of the Orientations trilogy, created by Border Crossings in collaboration with partners from China, India, France and Sweden. The posters and leaflet feature production photography by Patrick Baldwin.